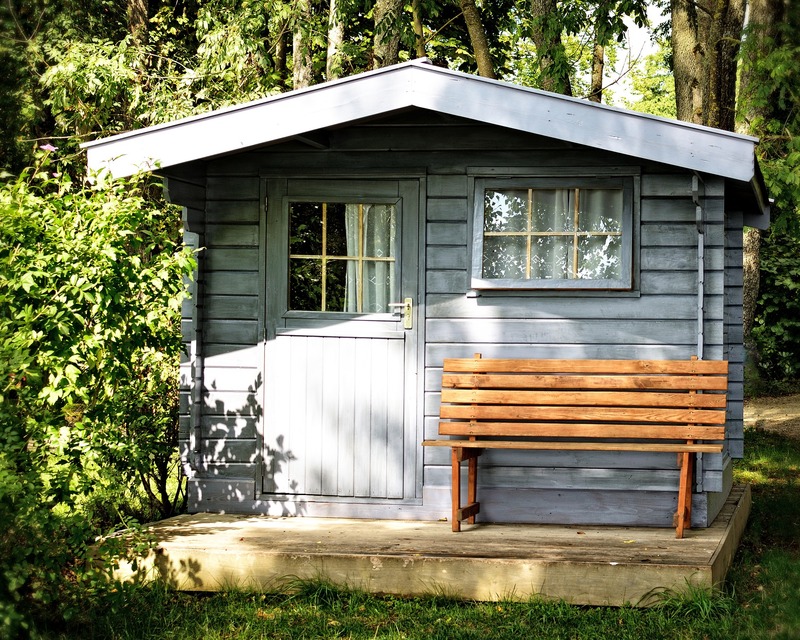 Fencing is a good option for adding privacy and security to your garden and with Spring on its way, it’s a good time to stop and take stock of your garden plans for the seasons ahead. Dependent upon budget, purpose and size, the variety of fence panels available is plentiful and choosing the right fit for your garden can be a struggle, however, here at eDecks we like to make things as simple as possible for our customers, and we will equip you with the knowledge you need to make a decision on what works best for you. If you would prefer a heavier duty fence panel, then vertilap fencing is the best way to go. 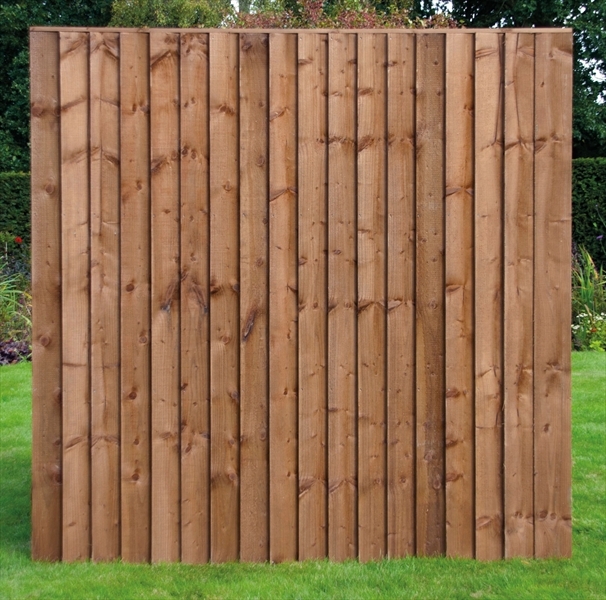 The design means that each wooden board covers part of the next and so allows no light through yet creates a very private fencing area, as well as adding strength to the fencing panel. The added strength is excellent for security, but also helps if you or your neighbours has pets, so that they stay on the correct side of the fence. 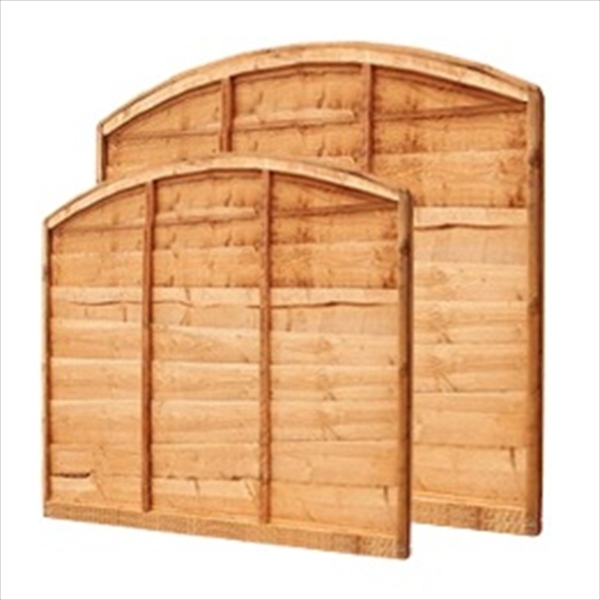 They are available in both vertical and horizontal overlaps, some boasting heavy duty boards and even made to measure. If you are on a budget, overlap fence panels are a common and wallet-friendly solution. 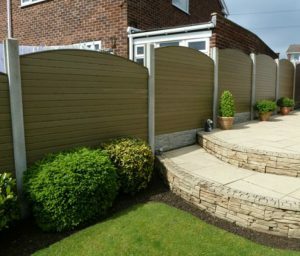 Whilst these panels are not quite as strong as alternatives such as vertical lap panels, they are super easy to install, as well as being inexpensive whilst still providing your garden with privacy. With our handy guide below you can install your very own garden fencing area! 1: Ask the Neighbours – Every new fencing project should begin with consulting your neighbours; this has as much to do with keeping good relations as it does practicality as constructing a new fence is always easier to do if you have access to it at both sides. 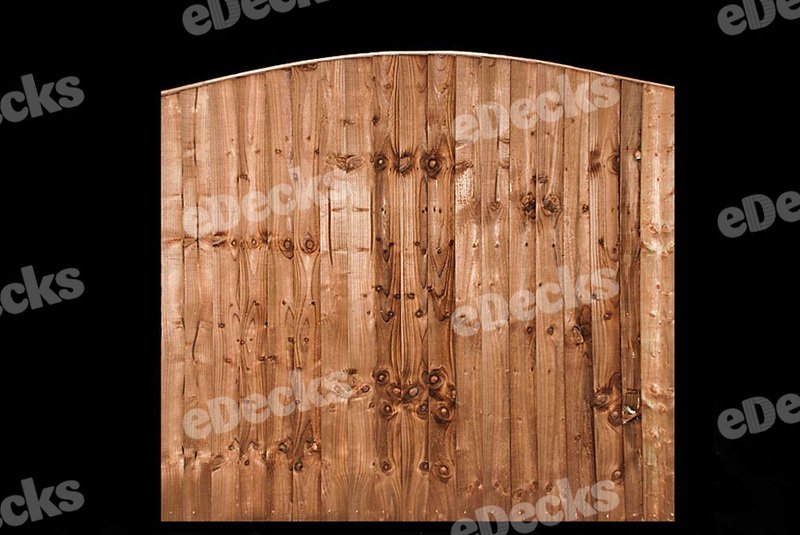 2: Pick a Type – It is important to find the right type of fencing for your garden, and here at eDecks we offer a wide range to choose from so it is worth considering what you are wanting from your fence before making a decision. 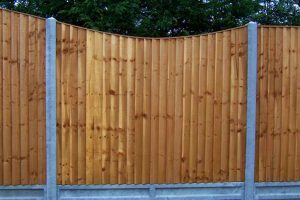 Overlap fence panels are constructed from overlapping horizontal boards and offer high levels of privacy at a very good price, with heavy duty vertilap being the strongest fence panels, offering a perimeter fencing that is very sturdy with a high privacy level. To calculate how many fence panels to buy, start by measuring the area that you want to cover. 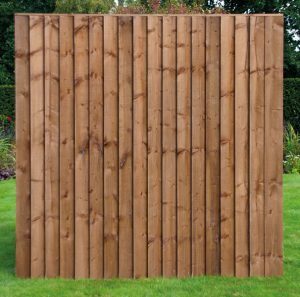 Since fence panels are usually 6ft wide, you need to divide the length of ground by six to calculate how many panels you will need. For example, an area of 30ft would require 5 panels. 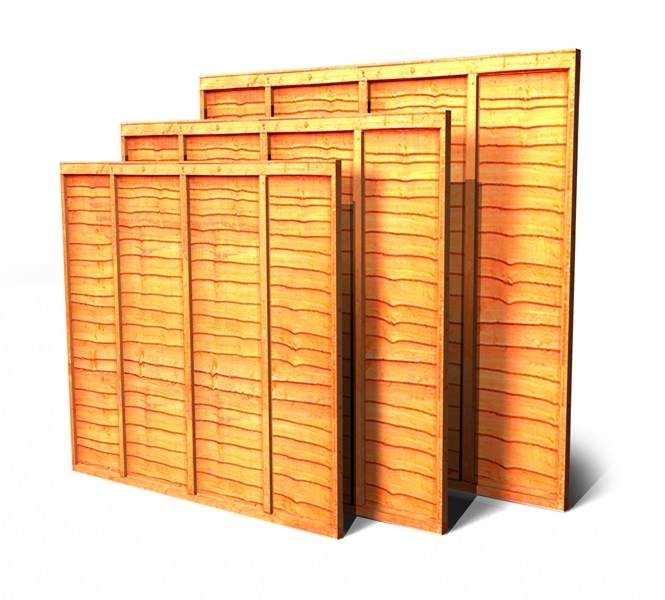 3: Post It – With your fence panel designs taken care of, it is time to then get started installing the fence posts. Steel fence posts are by far the more sturdy option in comparison to wooden fence posts, but they do require more effort to put up. Timber posts on the other hand, are relatively easy to erect so they’re perfect if this is your first time building a fence. 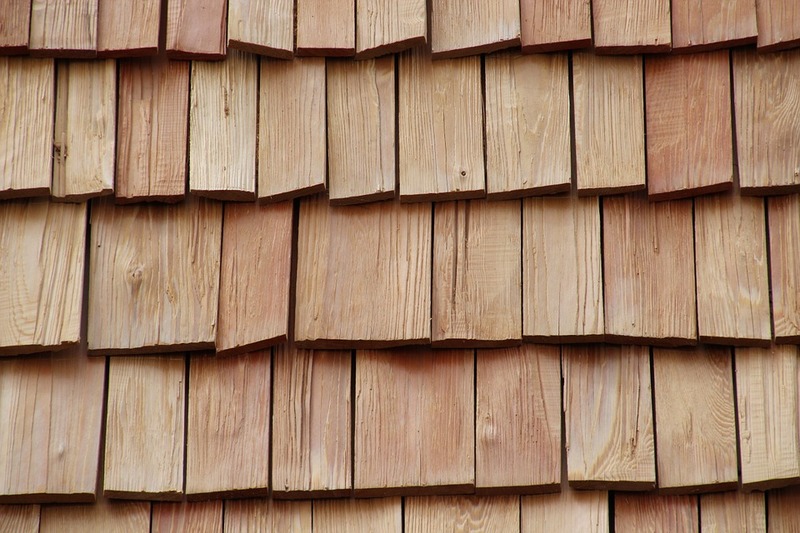 If you are using timber posts, we do recommend extending their lifespan by using a wood preserver of your choice. 4: Supporting Cast – Next up, you will need to set the posts in using concrete or steel fence supports to keep them in place. Both methods are good options for securing your posts in the ground, although if you choose to set your posts in concrete, you will require longer fence posts. For a six foot high fence, you will need eight foot long posts, as they will need to be buried at least two feet deep. If you are using steel supports, then these can be the same as the fence panel length. 5: Let’s Prep – Begin preparation by marking the line your fence will follow with string, attaching it to posts along the boundary line. Any climbing plants or dense grass should also be cut away to allow easy access to the area. 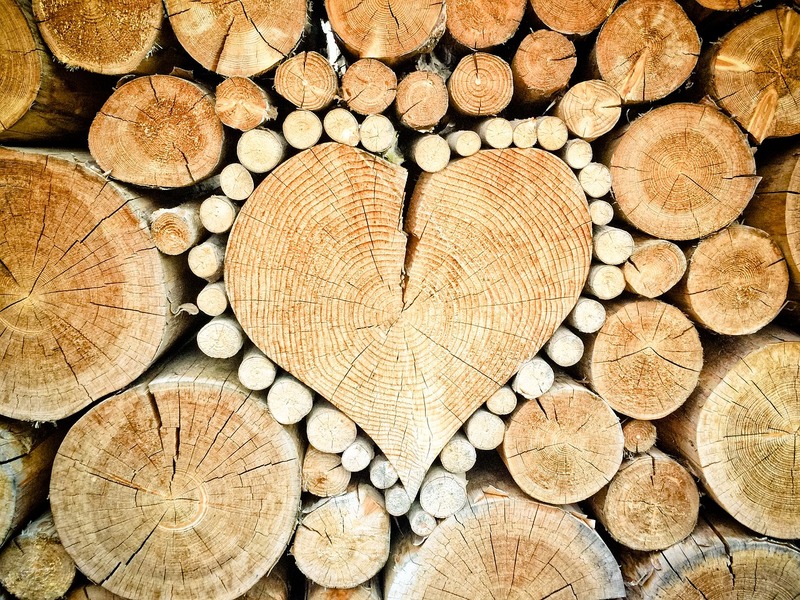 6: Diggin’ It – If you are using wooden posts, make sure the holes are at least two feet deep; any shallower and your fence will become wobbly during strong winds. Using your boundary string line as a guide, dig holes at both ends of the line, aiming for holes that are three times wider than the width of the posts. For example, if your post is 4x4inches, dig a hole 12x12inches wide. This will ensure the concrete foundation will be sturdy enough to secure your posts. Mark an 8ft scrap of timber two feet above the bottom to make sure that the depth of the holes are correct and if the mark lines up with the ground, your postholes are deep enough. If you are using steel fence supports, place a piece of scrap timber into the support and hammer that into the ground until the top of the steel support is level with the ground. 7: Set in their Ways – If you are using steel supports, you will not need to worry about securing your posts in the ground, but if you are using wooden posts, you will need to set concrete around them to hold them in place. Once the first and last postholes are ready, position your post and ask a friend to hold it in place. You can mix your own concrete if you prefer, but a 1kg Postcrete mix will work just as well. The Postcrete mix will set in just a few minutes so ensure that your posts are straight using a spirit level. Slope the concrete away from the post using a trowel to get the water to run away from the base of your posts. Next, attach a new line of string on the top of your bookending posts to make sure the other posts line up correctly all along the boundary. You can also use this line to quickly check that the heights of your posts are correct too. With the line in place, you are then ready to continue digging the other holes if you haven’t already done so. Measure out and mark the position of the holes by placing the fence panels against the first post. 8: Putting up the Panels – Now that the posts are in place, nail the post clips to the fence post first and then onto the fence panel. Two or three U-shaped clips per post will be enough to hold the panel in place. Keep the base of your panels from rotting and installing gravel boards. 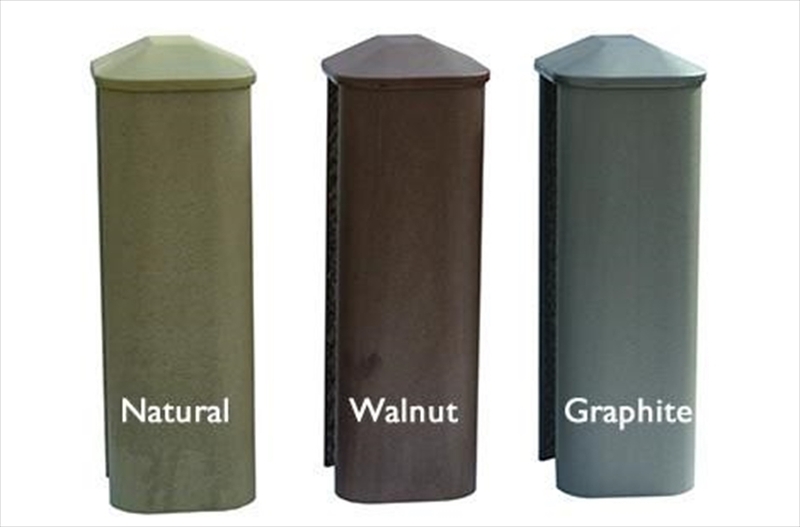 You can protect the top of your posts by using a decorative post cap. 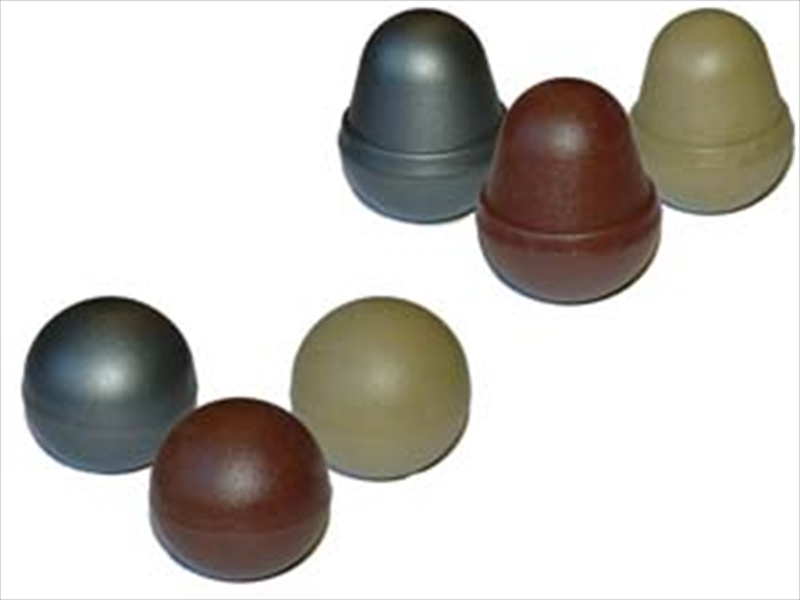 Prevent the cap from splitting by drilling a hole into the cap before you attach it to the post. 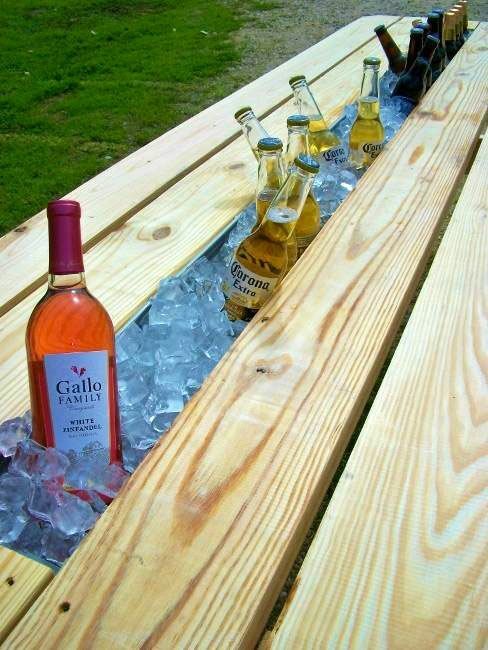 This entry was posted in diy, Fencing, Garden Design Ideas, Garden DIY, gardening, Gardening Advice, gardens and tagged diy, fence panels, fencing, overlap, vertilap on February 27, 2018 by eDecks. 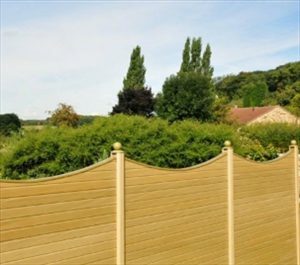 A majority of fences are made from hard or soft woods, although recently, there has been a surge in the popularity of composite fence panels due to its contemporary style, which is a relatively new building material that is made from a mixture of plastic and real wood. 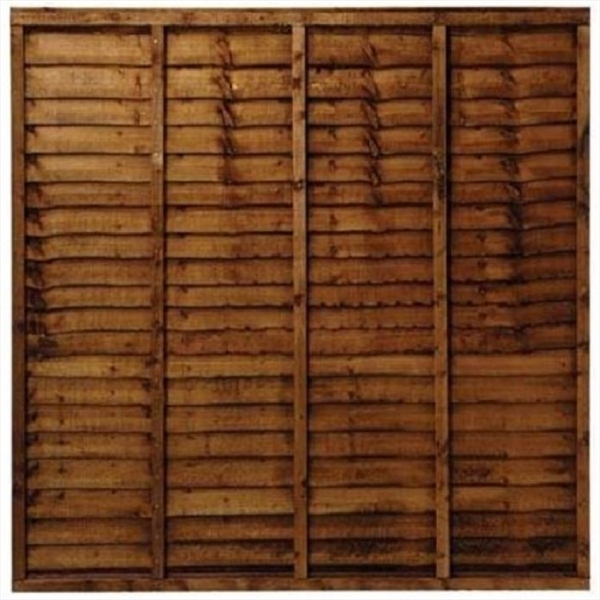 Composite fence panels are often made from recycled materials, making it an eco-friendly option. The wood composition gives it a beautifully authentic look, while the plastic allows the fencing to last much longer than wholly organic materials. Using composite fencing means your fence will last far longer than the original wooden versions, resulting in fewer replacements and therefore fewer trees are cut down to replace them. 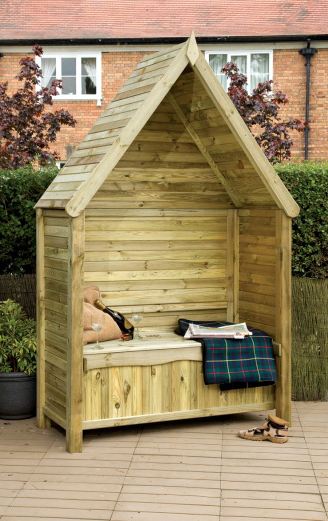 Deflects noise pollution – allowing you to enjoy the tranquillity of your garden without outside noise pollution seeping in. Heavy duty – They have reinforced vertical slats ensuring they are gale force proof, resulting in no more cracked or blown out panels. 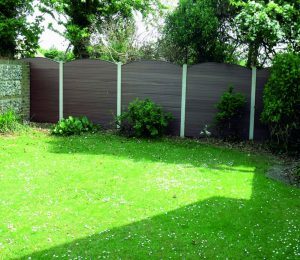 Maintenance free – No more painting and staining, as composite panels don’t fade like traditional fencing. 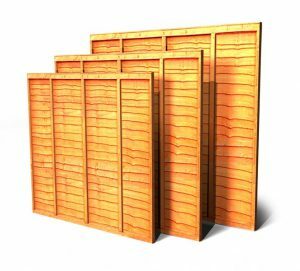 Superior durability – When compared to wood, composite fence panels don’t rot or splinter which is often the case in traditional wooden fencing. 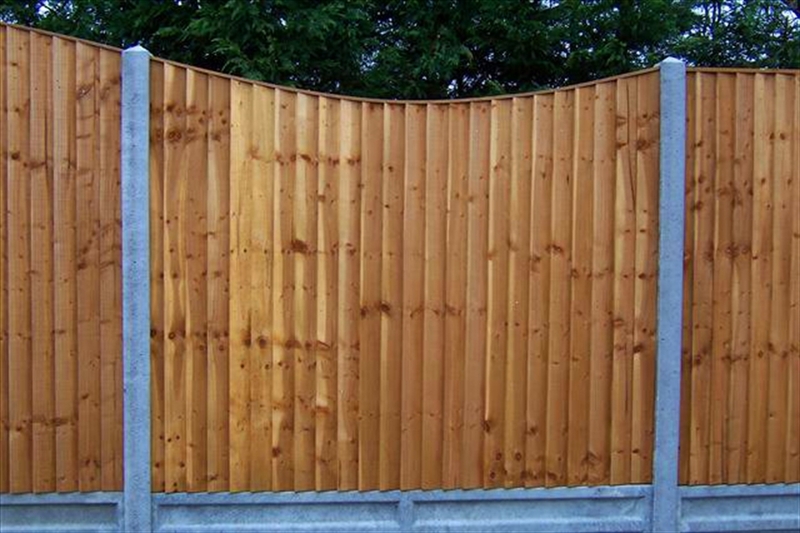 Design – Our composite fence panels are designed to fit within your existing structure. 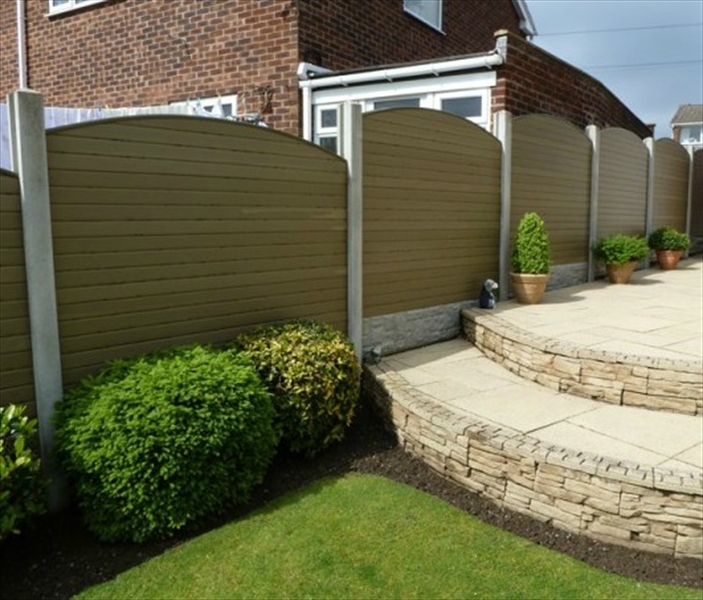 No fixings are required as the composite fence panel fits within traditional concrete posts. 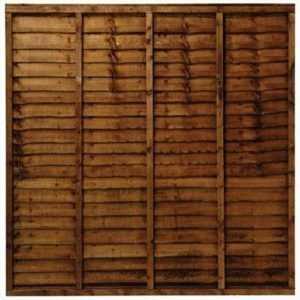 Cost effective – No need to buy replacement wooden panels after bad winters, as composite fence panels are excellent at withstanding harsh conditions. Easy to assemble – Our composite fencing panels come ready made, so all you need to do is slot them between the original concrete posts. Our composite fence panels come in a range of sizes and are suitable for fitting in-between existing concrete posts. They are dual sided meaning you could even split the cost with your neighbours so that you can both enjoy the aesthetic qualities of the fencing. We also offer a variety of colours to complement our composite decking collection, including Natural, Walnut and Graphite. Composite fencing can be slightly more expensive than traditional pure wood fencing, but you can save yourself money by purchasing your fencing online, without the costs of showrooms and stores throughout the country. Online retailers can offer huge discounts on exactly the same products you may find at local hardware stores, so having a quick browse online can be a very cost effective solution. You will then still have the same guarantee as you would in person, with the added benefit that your goods will be delivered straight to your door. 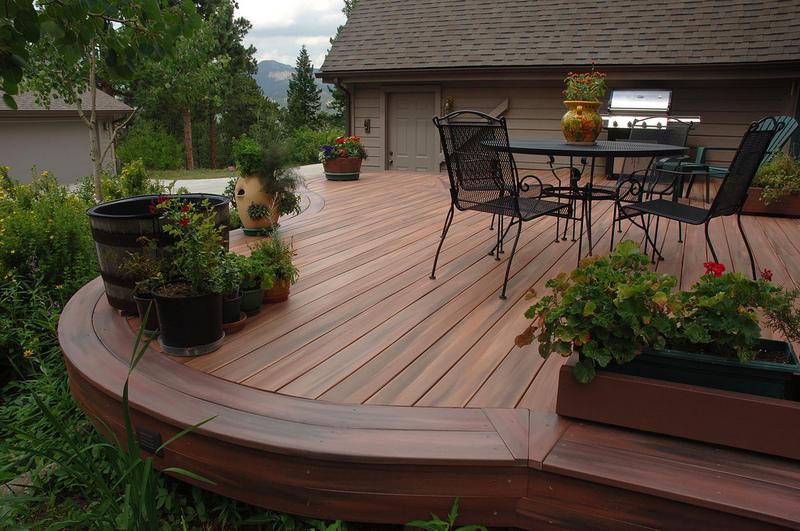 If you’re looking for extra guidance on installation, eDecks offers an incredible support service which you can use prior to any purchase, as well as offering professional guides to follow as you build. To go with your composite fence panels, we also offer a range of accessories, including Composite Fence Posts, Composite Fence Post Caps, available in Flat, Acorn or Globe styles, Composite Fence Post Bolt Downs, to make the installation of a small fence quick and easy, meaning that concrete drives are no longer a problem, and lastly Supaspikes, which have fins that bite into the soft ground giving a stable base for smaller fences. This entry was posted in Fencing and tagged composite, composite panel, diy, fence panels, fencing, gardens on January 11, 2018 by eDecks.